Yoga was invented on the spiritual lands of India. In the ancient times, it was practiced by saints to gain spiritual peace of mind and body. In today’s world, Yoga in India has spread as a fashion word, like on the urban streets of London and Los Angeles. Nevertheless, the art of Yoga and meditation has not lost its sheen. Earlier, it was practiced in the lap of nature, now you have fancy yoga homes that are artificially designed to offer peace and tranquility. It can be explained in this way that the essence of this body and soul healing process is still the same, rather the execution has changed a bit. Contrary to the old times, the modern day spirituality strives to heal mind, body and spirit in the most comfortable way. To define the change, here is a list of some of the best yoga places in India that will surely make you join. Nestled amidst the heavenly valleys of Uttarakhand, Ananda offers an experience that is simply divine and traditional. Aptly suiting the trend of spiritual tourism in India, Ananda encompasses all aspects of life to balance the mind, spirit and body. 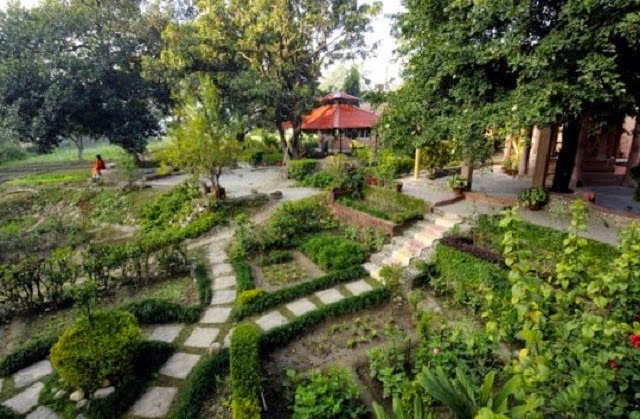 The center follows the techniques and teachings of the renowned Bihar School of Yoga, which is known as Satyananda Yoga. In conjunction with the modern physical and mental health sciences, the technique is a development of various traditional yogic teachings. 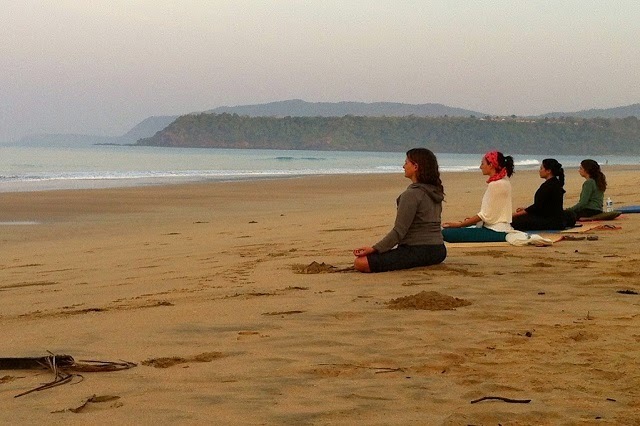 Besides yoga, aspirants are also offered numerous meditation courses which include the techniques for deep relaxation, cleansing the soul and inner visualization. These are named as Yoga Nidra, Chakra Shuddhi and Chidakasha Dharana. 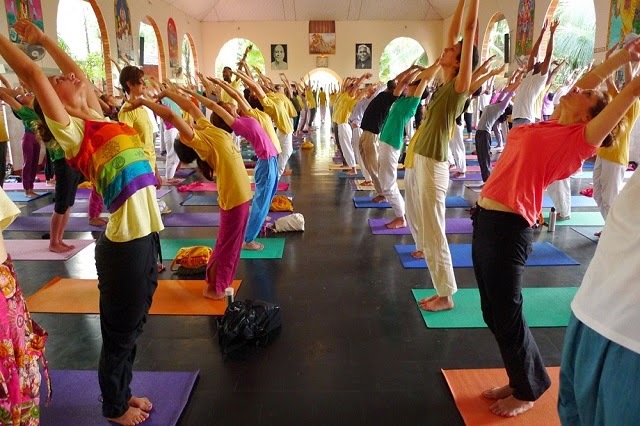 Attracting yoga aspirants from all over the world, the Ramamani Iyenagar Memorial Yoga Institute in Pune focuses on Iyenagar Yoga, which is a form of Hatha yoga. Classes at this renowned institute were personally conducted by the Yoga living legend BKS Iyenagar himself before he died. Designed upon the principles of the three levels of humanity-the body, spirit and mind, the design of the center are perfectly suited for attaining blissful meditation. Students at this famous yoga institute are made to use props in a unique style. 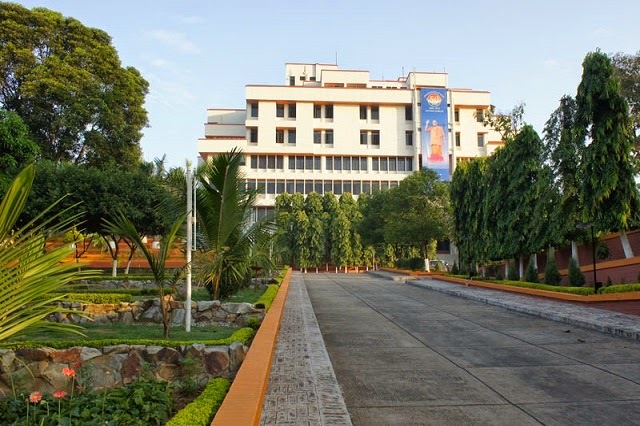 One must keep in mind that the students enrolled in the yoga programme of the Iyenagar Institute in Pune are not entitled to any accommodation or food facility on the site. Thus, aspirants looking for admissions can stay at the apartments in the nearby neighborhood. With a vision of imparting yoga training to various households of the country, the Bihar School of Yoga in Munger was established in the year 1964. A perfect center under the spiritual tourism in India, the Bihar School is one of the first institutes in the country which has initiated to train females and overseas aspirants on a large scale. As an enrolled student, one can benefit from all the research findings on Yoga and meditation. For this, the institution houses a well stocked Yoga Research library which has a large collection of books and data of various Yogic publications. Distinct thing about this institute is that it does not focus on the traditional postures of Yoga like the other schools, rather the emphasis is on meditation. Home to the modern sage and Vedanta philosopher, Sri Ramanasramam, Ramana Maharishi Museum is situated at the foot of the Arunachala hill in the state of Tamil Nadu. 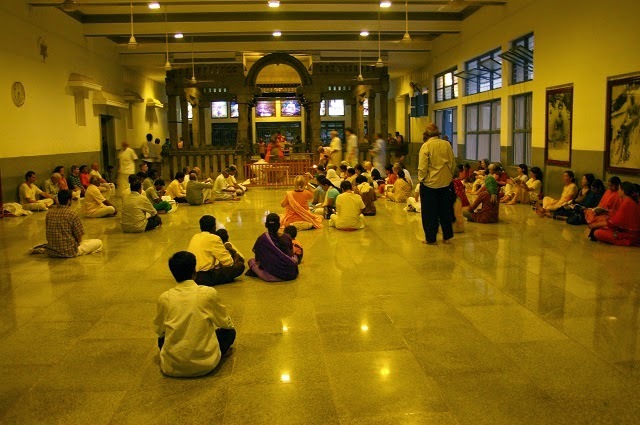 The place offers a tranquil atmosphere to meditate for the thousands visiting the Ashram. One of the prominent attractions of the complex is the main ashram which lies near to the Samadhi of its founder, Sri Ramanasramam. Besides yoga and meditation, the Maharishi Ashram also fits as an educational center. For the aspirants, the educational center provides many books and films about Sri Ramansramam’s life and teachings. You can even take part in the various Pujas which are conducted on a daily basis at the shrine. Spread over a vast expanse of the Panchagiri hills in Bangalore, the art of living Ashram is an ideal location for retreat and meditation. One of the renowned centers for holistic healing in India, Art of Living ashram was started in the year 1986. With an amazing blend of the modern and traditional architecture, the ashram boasts of a mesmerizing lake, beautiful Vishalakshi Mantap and humongous greenery all across its premises. It is aptly designed to provide a peaceful atmosphere and meet all the requirements of a meditative session. Besides the usual yoga and meditation sessions, the Art of Living Ashram is highly popular for its ‘Satsangs’, which are held on a regular basis in the evening. These Satsangs are an effective way to achieve the highest state of consciousness through its Music and Bhajans. Other than submerging in these meditative rituals and practices in the Ashram, one can also devote himself in the voluntary service called Seva. Drawing thousands of ‘Sanyasis’ (peace seekers), mainly from the western world, Osho Ashram in Pune is one of the renowned stress-busting meditative centers in India. The meditative center is very well equipped with the modern amenities, which helps in breaking the cliché of traditional yoga teachings. While strolling in the campus, one is likely to come across a crystal clear swimming pool, basket ball court, massage& beauty parlour, bookshop and a luxury guesthouse. They also have sauna facility as a part of their meditation curriculum. 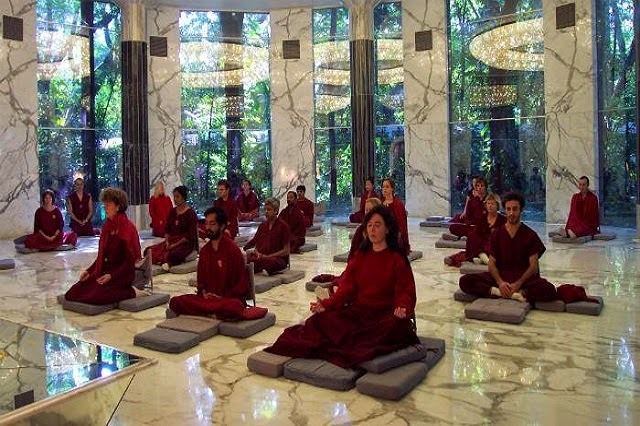 Although criticized for its manifesting commercialized behavior, the Ashram has managed to successfully run a plethora of courses in meditation. Nothing is more pure and heavenly than connecting with the spiritual side of you at the divine lands of Rishikesh. Parmarth Niketan is one such center in Rishikesh that has the potential to satisfy all your yogic urges. 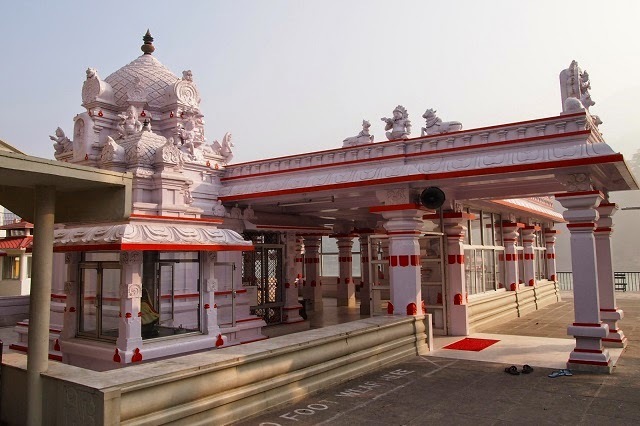 Situated on the banks of the holy Ganga, it is the largest ashram which offers a clean and sacred atmosphere to thousands looking for inner peace and tranquility. Traditional Yoga in India can simply be understood by the teachings and curriculum of Parmarth Niketan. To make it more relaxing for the visitors, the ashram has beautiful gardens spread all around its premises. Founded by TKV Desikachar, son of legendary yoga guru Krishnamacharya, Krishnamacharya Yoga Mandiram is situated on the east coast of South India. Highly popular among international devotees, the center strictly focuses on healing people through yoga. 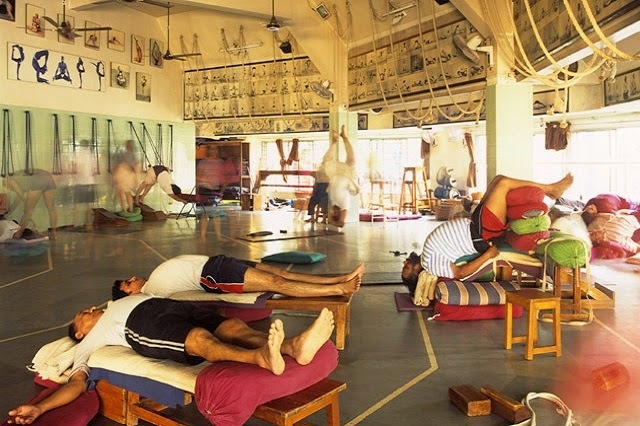 The dynamics of its courses are not so rigid and one can experience a flexible and relaxing atmosphere in the ashram. The center offers numerous Yoga courses which include programmes like ‘The heart of Yoga, Antargamanam, Raksana Yoga, Pranava Mantra and Yajna’. 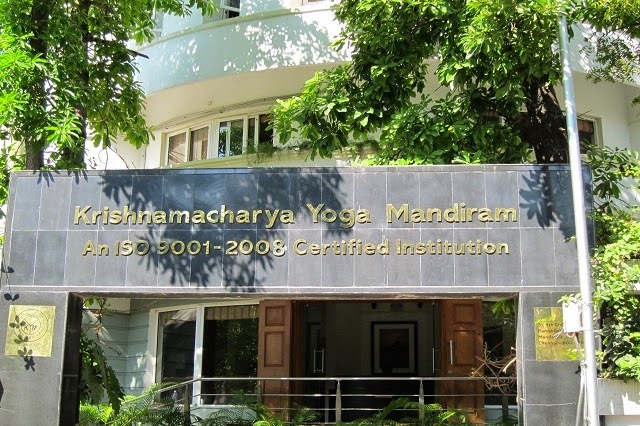 There is no accommodation facility provided in the Krishnamacharya Yoga Mandiram. Thus, aspirants have to look for places to stay in the vicinity of the institute. Founded in 1959 by Swami Vishnudevananda, the Shivananda Yoga Vedanta Dhanwantari Ashram is set in the tropical splendor of the foothills of Kerala. Being situated in the proximity to Neyyar dam, the Ashram flaunts its natural beauty which gets magnified with cool coconut grooves and the colorful cover of its surroundings. Owing to such an atmosphere, Shivananda Ashram is best suited for peace and meditation. 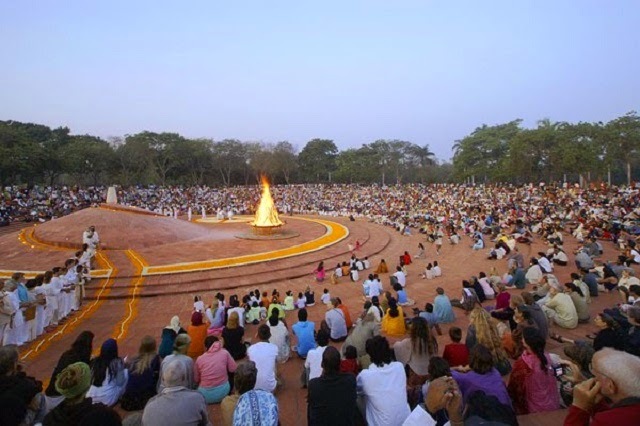 For the visitors to develop an insight into the spiritual essence of life, the ashram offers numerous techniques of classical yoga. The sole motive for the establishment of this center is to promote the science of yoga for physical, mental and spiritual well being. The all around development of yoga in India has led to the establishment of numerous centers across the country. One of them is the Isha Yoga Center, which is situated on the lush mountains of Velliangiri in the South of India. Propagating the beliefs of yoga, this spiritual center was founded with the support of Isha foundation. The popularity and charm of this Yoga center is so vivid that it attracts devotees from all over the world. As a part of the teachings, the center focuses on all the major paths of Yoga-Gnana (knowledge), Karma (action), Kriya (energy) and Bhakti (devotion). The architecturally unique meditation hall of the center, which caters to numerous residential programs. One of the most popular yoga destinations in India, Mysore is home to the renowned Ashtanga institute. The Ashtanga form of yoga or Hath yoga has been the key factor of this institute which is taught by the revered guru Sri Krishna Pattabhi Jois. Being in function since 1930, the institute offers intensive classes throughout the year. With a motive of perfecting the body for the perfection of mind and then further spiritual purification, the curriculum of this renowned institute are kept in sync with the international standards of the Yoga Alliance. Following such standards, the institute has hired experienced Yoga teachers in its faculty. A spiritual ashram in the union territory of Pondicherry, Shri Aurobindo Ashram aims to transform human life into a divine one. Being established with an objective to achieve higher spiritual consciousness and embody a greater life of the spirit. 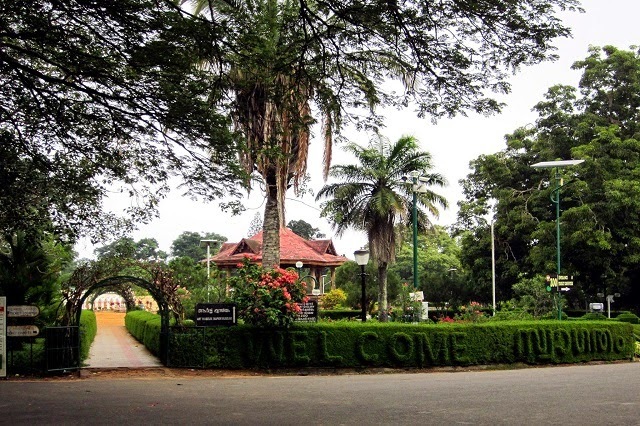 During its establishment years, the Pondicherry Ashram was confined to only few buildings. Looking to its popularity, the Aurobindo Ashrm has physically expanded. In the present times, the yoga center houses more than 400 buildings, which are spread throughout the town of Pondicherry. Away from the major tourist attractions of Rishikesh, the Swami Dayananda Ashram lies peacefully on the banks of the holy Ganga. The ashram is renowned all across the world for its teachings of Vedanta and Sanskrit. Interesting fact about the Ashram is the classes are conducted in English, while the style of teaching is still ancient. This Ashram was named after its founder, the great philosopher and reformer, Swami Vivekananda Saraswati. In order to offer its students with all the necessary books on Vedanta, Sanskrit, Religion and Yoga, the renowned ashram has a largely stocked library. To support the curriculum of teaching ancient texts, Swamiji and his disciples regularly conduct residential courses with special emphasis on the Upanishads and Bhagavad Gita. The ashram also conducts regular Iyenagar Yoga camps. Home to one of the most popular gurus of India, Amma, the Ashram is a great spiritual place located in the state of Kerala in India. With a soul motive of realizing God and serving the world, visitors from Indian as well as foreign lands travel to Amma’s Ashram with full devotion. Here they get a chance to seek the blessings of the renowned guru Amma and her disciples, staying at the numerous residences in the ashram. Not just for the darshan of Amma, the place is a spiritual haven for Yoga and meditation as well. Amma’s Ashram offers time to time yoga and meditation courses to its large flock of visitors. Located peacefully on the divine soils of Haridwar in Uttarakhand, the Santosh Puri Ashram offers an ideal retreat for serious spirituality seekers. 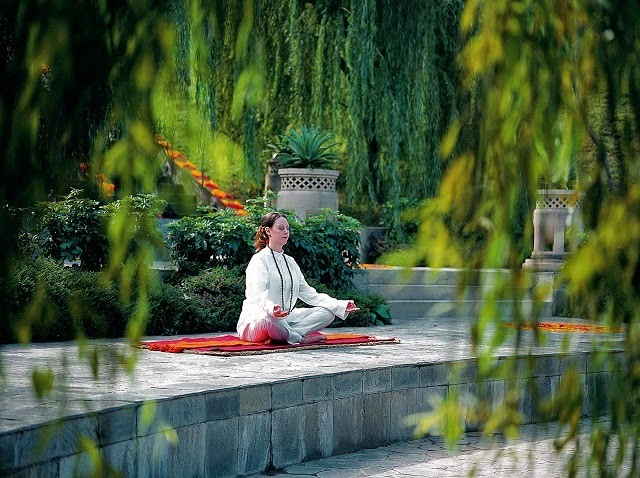 Being nestled on the foothills of the Himalayas, the ashram provides a tranquil atmosphere to its yoga aspirants. Here one can adopt the practice of Yoga in its daily lifestyle. With the day starting very early before dawn, visitors indulge in meditation and the morning Aarti. Post that, starts the Hath Yoga class, which is followed by Karma Yoga. Students are also taught philosophy, ayurveda and cooking in their afternoon classes. Finally the day concludes with the evening Aarti. Ample consideration has been given in the preparation of the meals which are offered three times in this prestigious ashram. Students are provided with wholesome and vegetarian meals, ingredients of which come straight from the organic gardens of Santosh Puri Ashram. Located in the southern part of India, Arsha Yoga Gayathri is a spiritual center that believes in offering ancient science courses like the Yoga therapy and Vedanta in a traditional way. 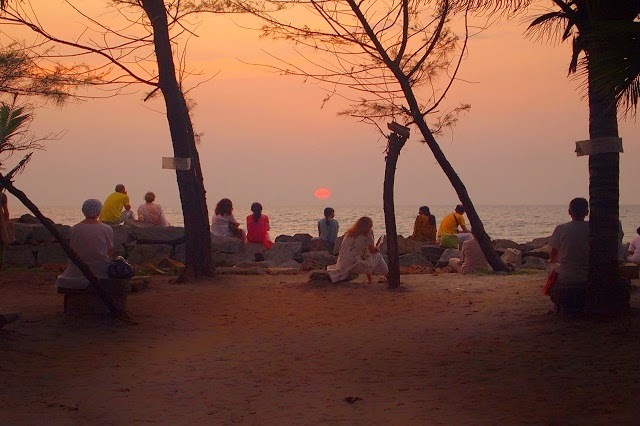 As the location of the Ashram has kept right in front of the paradise beach, it offers a calm and tranquil ambiance for the yoga aspirants. Here people can relax and learn yoga and put it under its daily regime. Interesting fact about the Yoga classes in Arsha Yoga Gayathri is that locals are taught in their language. 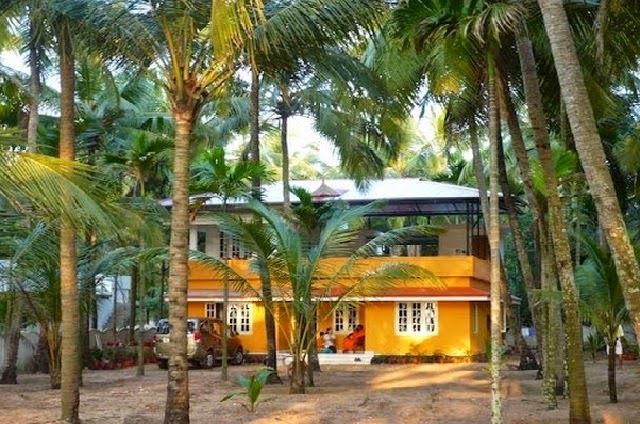 A stunning yoga center in the state of Goa, Lotus Yoga retreat offers an eco-friendly accommodation for the aspirants travelling from all over the world. Close to the celebrated Agonda beach, the center is a perfect place for disconnecting from the daily stress. At Lotus retreat, one can start with the regular yoga classes between the months of November and June. To heighten the meditative experience, the yoga center houses a beautiful Pyramid Shala. As a part of holistic healing in India, Lotus Yoga retreat offers treatments like acupressure, reflexology and shiatsu. As taught by the founder, Sri Swami Vishnudevananda, the renowned center offers many yoga courses for the beginner, intermediate and advanced practitioners. The center is in function since 1987 and is centrally located in the city of Trivandrum, right behind the Padmanabhaswamy temple. Highlighting part about the courses of this celebrated institute is that the teachings are based on the five points of Yoga. The adoption of these teachings in the curriculum has inspired spiritual aspirants from all over the world. A beautiful fusion of ancient wisdom and modern healing systems, the Blue Mango Retreat is a perfect way to detox from the constant demands of modern living. The center offers a profound experience for anyone who seeks spiritual awakening and balance. Certain therapies that are mostly adopted by visitors include Guided meditation, Tibetan Om meditation, Yoga, Visualization, relaxation breath work and sound healing, and Catharsis. Being situated in the Himalayan valleys, the cuisines that are offered in this recreational center comprise a mix of various local and tribal recipes. Besides, accommodation options are also quite comfortable at the Blue Mango Retreats. Visitors are made to stay in a luxury hotel that has cozy and clean rooms. 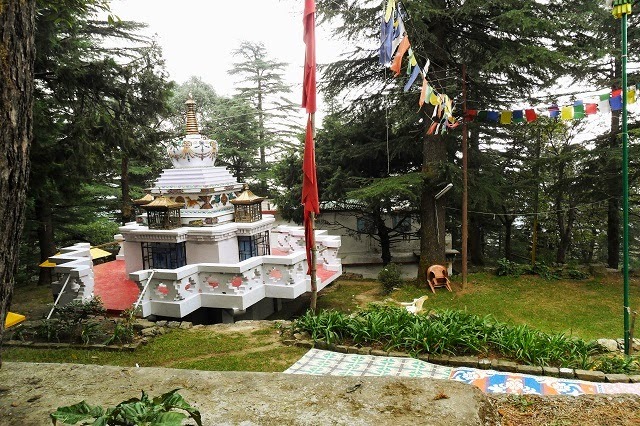 A renowned center for the study and practice of Buddhism, Tushita Meditation Center is located in the forested hills of McLeod Ganj in India. It is one of the best meditation centers to learn yoga in India. As part of the curriculum, regular introductory courses on Buddhist philosophy and meditation are offered at this Himalayan center. The friendly and conducive environment of the meditation center allows for a more focused approach in the studies. For all those who get past through the introductory Buddhist courses, the center offers intermediary level teachings like Wisdom & Compassion and Healing Distribution emotions. Welcoming spirituality seekers for more than 120 years now, Phool Chatti Ashram in Rishikesh is the next best contender for offering holistic healing in India. 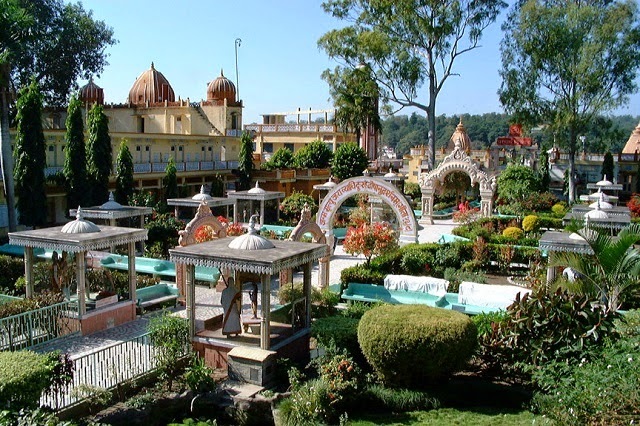 The ashram is only five kilometers away from Laxman Jhoola in Rishikesh. Easily accessible from the town of Rishikesh, Phool Chatti resides on the banks of the holy Ganga. Here, visitors are served ancient Hindu traditions with modern comfort and cleanliness. Designed to provide Yoga and meditation at its very best, Phool Chatti Ashram is one such institution that must be visited by everyone. One of the largest Vipassana centers of the world, Dhamma Giri is located in the Igatpuri region of Maharashtra. Started in the year 1976, the center today enrolls thousands of students from all corners the world. As taught by the founder, S.N Goenka, the disciples of Dhamma Giri focuses on teaching the five principles of yoga and meditation. Once the concentration of mind is developed, the techniques of Vipassana are taught in an orderly manner. 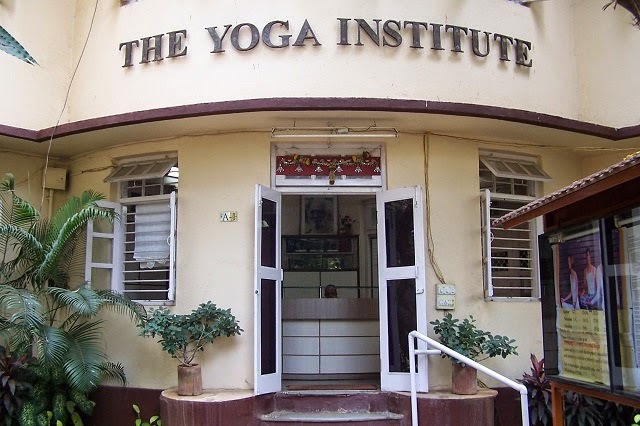 Situated in the suburbs of Mumbai, the Yoga Institute is one of the oldest centers in India. The Yoga Institute offers a range of excellent yoga and meditation courses, workshops and camps. Besides these, one can attend the therapeutic health camps which take place from time to time. These camps are specially designed to cure physical ailments like hypertension, diabetes and respiratory problems. The renowned institute also has special programs, dedicated to children and elderlies.